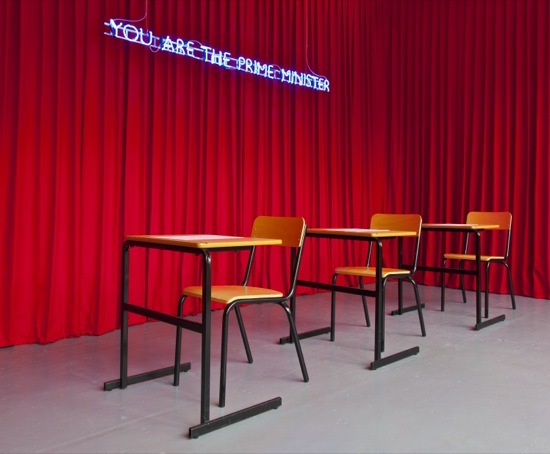 waterside contemporary is pleased to present The Unreliable Narrator, an exhibition of new installation and video works by Karen Mirza and Brad Butler developed especially for the gallery. 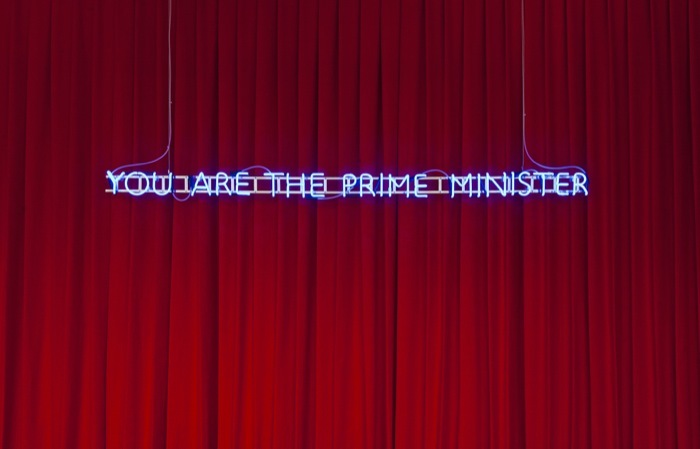 'You are the Prime Minister', a prominent neon work in the window of the gallery becomes an empowering invitation to take up the title role in a fantasy fiction. It is soon revealed to be misleading: the statement belongs to a larger piece from a scholarship exam for thirteen years-old boys entering Eton College, an elite school that trained 19 of the Britain’s Prime Ministers and 12 members of the current Government. 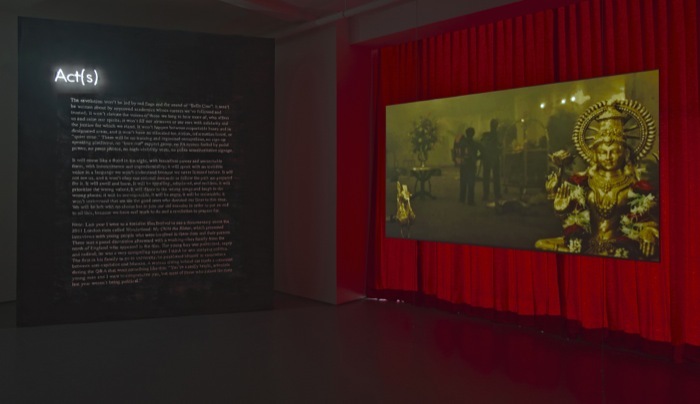 A video installation The Unreliable Narrator narrates the 2008 Mumbai attacks, alternately from a position of the terrorists and of a seemingly impartial commentator. The video sourced from CCTV recordings of the siege, together with telephone conversations between the attackers and their controllers, suggest that the event was performed for the benefit of news cameras: “this is just a trailer, the main feature is yet to come”. And so, in the Prime Minister’s Question, the thirteen year-old candidate is required to argue for the necessary and moral use of military force against civilian protesters, at his command. In Mumbai, the terrorists play into the hands of Bollywood filmmakers, who rush to register epic film titles even before the siege is lifted. Related event: The Exception and the Rule, Tuesday 15 July.